The Venum Koi Absolute Gi is a great BJJ lover gift for someone who likes style and quality. Venum is known world wide for their gear. Many top level MMA and Jiu Jitsu athletes are sponsored by Venum. The jacket and pants are both made of 100% cotton and preshrunk, although it may still shrink a little if put in dryer. Ripstop on the inside of the leg help prevent them from being ripped. Polyester and spandex are added to the interior of the jacket to make the gi more comfy. 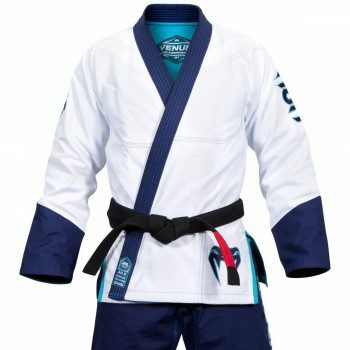 As of the time of writing this gi does not come with a belt. If you’re buying this for someone just starting out then you will need to purchase a Venum belt to match.